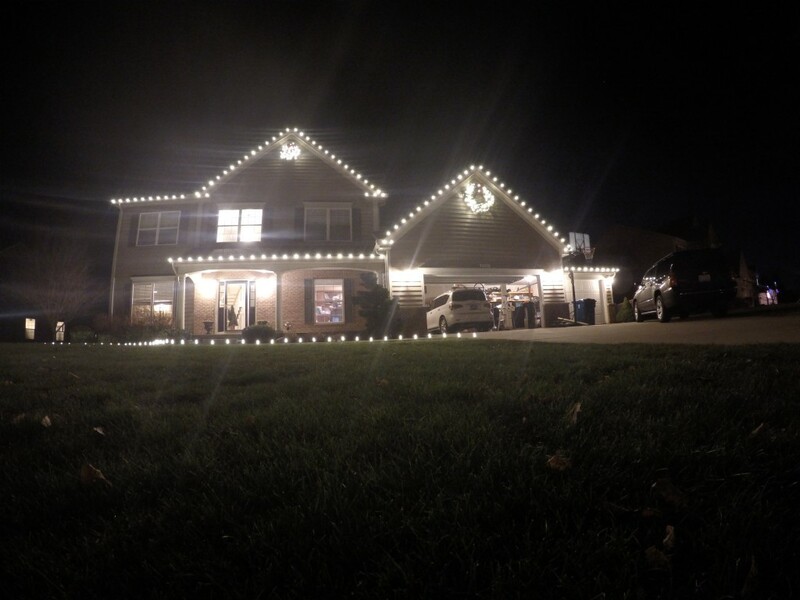 Last Christmas we professionally installed lights all around Grand Rapids, Kalamazoo, Portage, and surrounding areas. 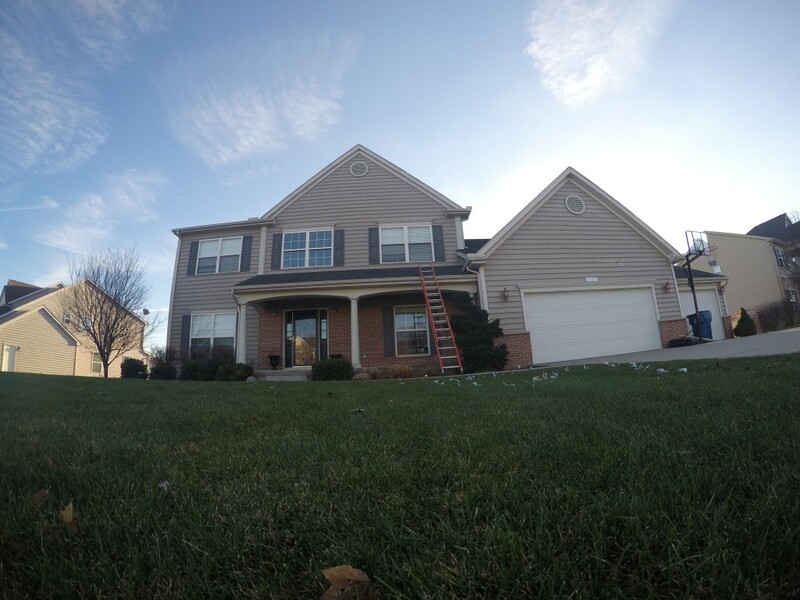 Here is a closer look at one of our projects in Grand Rapids. These new clients were referred to us from their neighbors, just a few doors down. Why didn’t the clients install their own Christmas lights? Did you ever get on a roof, or just look at a roof, and think…”nope, not happening!”? That’s what happened here. The problem was that the roof was simply too dangerous and steep. The wife had no interest in having her husband up on the roof with the possibility of falling from a second story, but they wanted to decorate for Christmas. You bet, there are always challenges with each project. However, we love challenges! The main challenge here, was to create good balance from one side of the house to the other. These clients did not want the Christmas lights to look like they were floating in mid air, so to counter this effect, we used stake lighting on the ground to give the display good perspective from the street. What did this professional Christmas light installation consist of? Since our clients wanted simplicity and elegance, we went with warm white lighting, no bright colors. Along with lighting the roof line, the clients decided to also light one ornamental tree, add the ground lighting, and also include two lighted wreaths. The project cost around $2500 for the first year, which includes material purchase and installation. After the first year the re-installation will be around $1200, if no new material is added by the clients. This professional Christmas light installation project took about a day to complete. I’m Ready for Christmas Lights!